Researchers at Iowa State University have found that ground eggshells are a good source of lime for the garden. 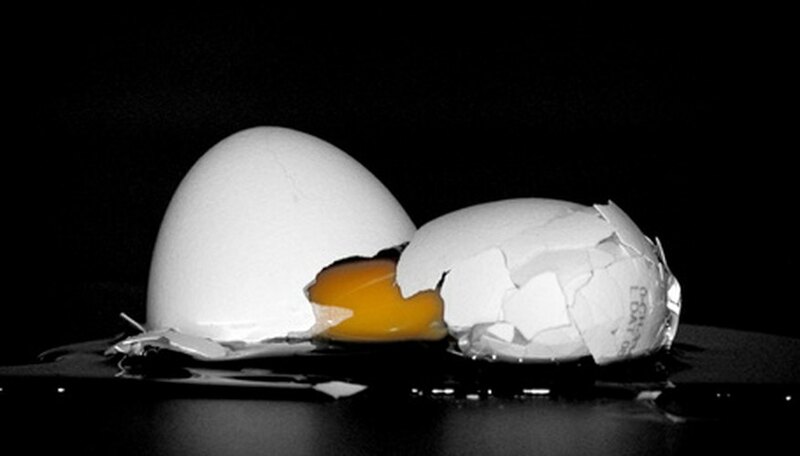 Others at the University of Florida claim that eggshells raise soil pH and promote early root growth. Instead of spending money at the nursery, save those eggshells and make some homemade plant fertilizer. Save your eggshells in a brown paper bag. The eggshells should be dry prior to crushing them. To dry them quickly, place them, in a shallow pan, in the oven. Turn the heat to its lowest setting and allow the eggshells to remain in the oven until they are beginning to turn brown. Crush the eggshells with your hands and then place the pieces into the blender or a coffee grinder. Blend them to a fine powder. Scatter the powdered eggshells around the base of plants that require calcium carbonate, such as turf grasses, lilacs and vegetable gardens. Scratch the powder into the soil and then water the plant.